President Nixon started in a relatively weak position. 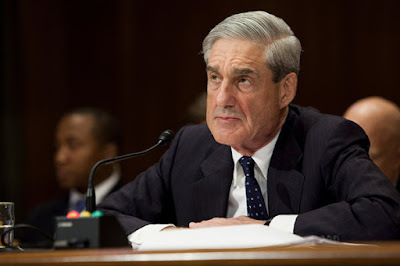 His misdeeds came to light during a period of opposition-party control, with Democrats able and willing to wield Congress’s investigative powers to the fullest. . . . . On August 9, 1974, with bipartisan articles of impeachment hanging over him, Nixon resigned. Donald Trump has thus far had a very different experience. For the past two years, Republican control of Congress has protected him from the public exposure Nixon and his staff had to endure. Now that the Democrats have taken back the House, the Trump administration will face a challenge from which it has been immune thus far: a far-reaching, aggressive, and highly public investigation of the kind that brought down Nixon. In September 2017, we wrote, “It is tough for a special prosecutor alone to bring down an administration. That feat is more readily accomplished in the court of public opinion, where an opposition-led Congress can rain hellfire and brimstone upon a troubled presidency.” We believe our argument will soon be proved correct; hellfire and brimstone are imminent. Second, Congress has the power to draw the results of any investigation into the harsh light of public scrutiny. The Watergate hearings were instrumental in bringing down Nixon because they forced Republicans to contend with damning testimony from the president’s closest aides, broadcast in prime time. Only once his approval among Republicans sank into the 50s were GOP congressmen willing to join the impeachment effort. Removing Trump from office before his term expires would require a similar loss of intraparty support. . . . . it’s all the more important for them to erode the president’s base of support before attempting impeachment. If Congress and Mueller can cooperate, though, both stand to gain from parallel investigations. . . . . Whatever risks the Mueller investigation does pose for the president, history suggests that they will be magnified by a Democrat-controlled House. Although the Watergate Special Prosecution Force never indicted Nixon, its findings were transmitted to the House via a grand-jury report that provided much of the basis for the Judiciary Committee’s articles of impeachment. The other side of the coin is that Trump’s base of popular support amongst Republicans may prove more resilient than Nixon’s. . . . While CNN will run with the Watergate 2.0 narrative, Fox News surely will not. For every website denouncing Trump for high crimes and misdemeanors, there will be another accusing the Democrats of a witch hunt.